Mr. Pinkston Simmons, Jr. age 85 passed on October 10, 2018. He was born on 28 August 1933 in Hampton, Virginia to the late Mrs. Lula Jane Simmons and Pink Simmons. At an early age, Pinkston accepted Christ as his Lord and Savior. He enlisted in the US Army in 1953 and is a veteran of the Korean War. Upon his return, he worked in several occupations including as an electrician and truck driver. He was a member of VFW post 1930 and was named as the post commander. 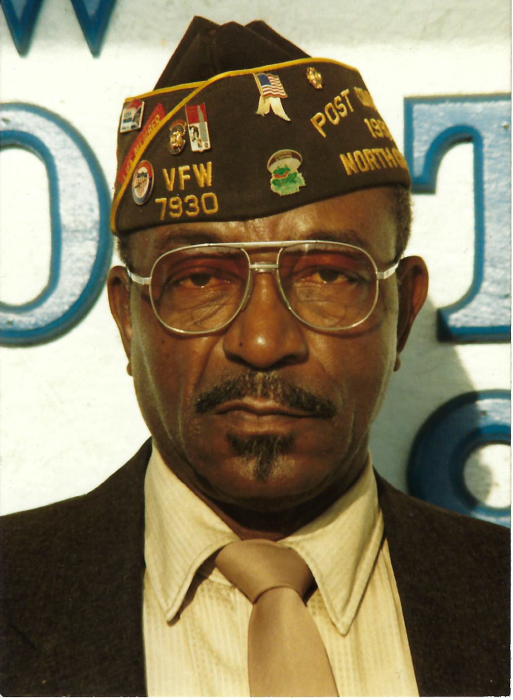 He later worked in the Civil Service at Ft Bragg, NC where he retired in 1987. Brother Simmons was a long-time member of Rockhill Missionary Baptist Church, where he served as a member of the Layman’s League, a deacon and the Sunday School Superintendent. Pinkston was preceded in death by three siblings, one son and two nephews. He leaves to celebrate his life in Christ two sisters, Dr. Mary McLaughlin of Baltimore, MD and Mrs. Ruth Johnson of Wilmington, NC, and one brother, Mr. James Simmons of Raeford, NC. Pinkston was the father of seventeen daughters, five sons, and a host of grand and great-grandchildren. He also leaves behind many nieces, nephews, and other relatives and friends.